Founded in the year 1990, Multiheight Scaffolding (MHS) is an established name in the metal scaffold trade servicing the oil & gas, petrochemical, pharmaceutical, construction and marine industries in Singapore. With more than twenty five years of experience in this field, we have established ourselves as one of the most reliable and safety conscious scaffolding service provider in this market. 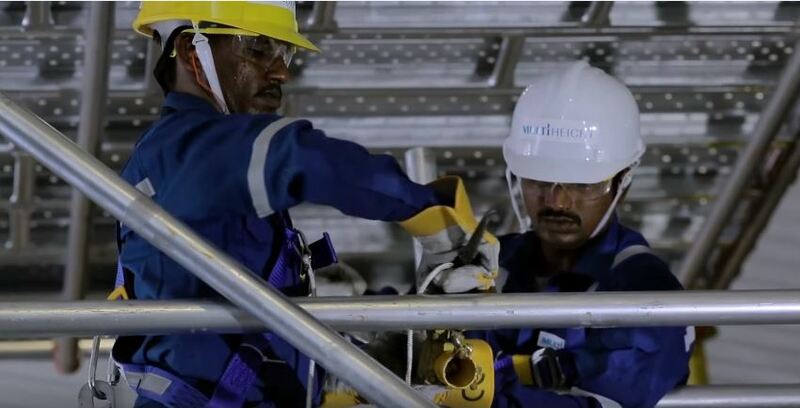 In terms of resources, we operate with a workforce of more than 550 skilled scaffolders together with a wide range of scaffolding materials and equipment to handle any requests from our clients for plant maintenance works or development of capital projects. Over the years, MHS has successfully completed numerous large scale projects for MNCs, which include ExxonMobil, Chevron, Lanxess and Stolthaven Terminals. In a single project covering a duration of 2 years, MHS achieved a highest record of scaffold completion of more than 400,000 meter cube. Besides participating in large scale projects, MHS is also one of the leading resident scaffolding contractors servicing Celanese, Chevron, ExxonMobil, Invista, Keppel Shipyard and Lucite for their maintenance needs, shutdowns as well as turnaround projects at their plants or shipyards. Besides having strong performance track records, MHS has also received numerous awards and testimonials for delivering service excellence and meeting customer satisfaction. From 2002 to 2016, Ministry of Manpower awarded MHS the annual Workplace Safety and Health (WSH) Performance Award (Silver) on 12 occasions. We also obtained the annual Workplace Safety and Health Award for Supervisor covering 2010 to 2012, 2015 and 2016. 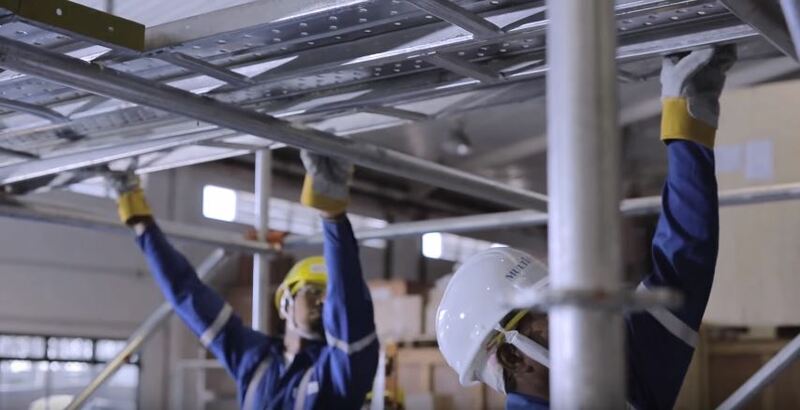 At MHS, we pride ourselves as being a reliable and efficient scaffold service provider delivering quality services at competitive prices while maintaining the highest safety standards at all times. These results were achieved through constant improvements to our working procedures, adapting to new market trends and technologies as well as implementing innovative solutions to create value added services and solutions for our customers. With our strategic focus on these initiatives, we are confident that MHS will excel as “Your Solution to Access”.